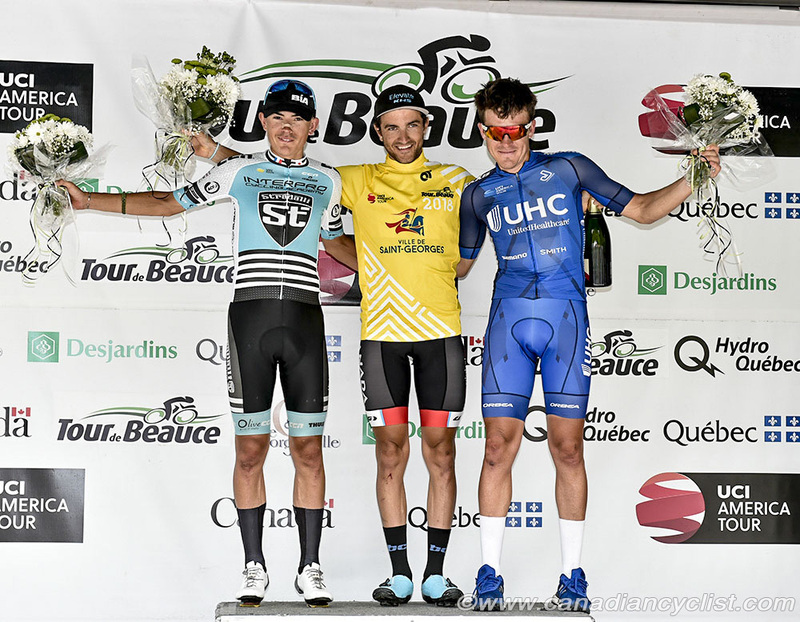 Once again, the final stage of the Tour de Beauce proved to be decisive, with James Piccoli (Team Canada) overtaking Serghei Tvetcov (UnitedHealthcare) for the overall win after driving a race-long breakaway. Pier-André Côté (Silber), the winner of Stage 1, took the final stage win. Piccoli, who had won the previous stage, went from 14th to eighth to first in the General Classification over the course of the last two stages. 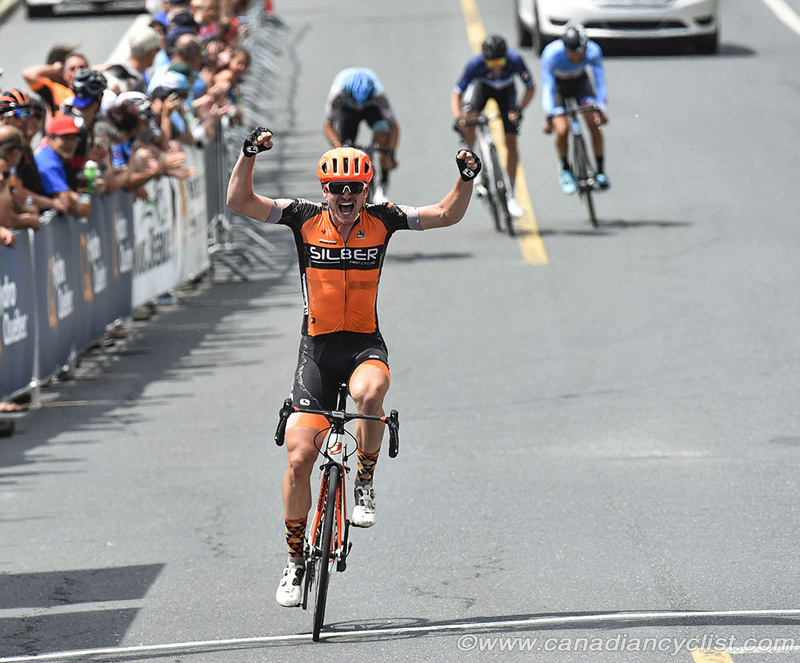 He is the first Canadian winner of Beauce since Svein Tuft in 2008, and the first winner from the host province of Quebec since Jacques Landry in 1994. The final circuit stage through the streets of Saint-Georges is deceptively hard, with a steep 1.5 kilometres climb on each of the 12, 10.2 kilometres laps, plus 18 corners requiring constant braking and acceleration. It has led to many a race leader losing on the final stage, as rivals attack repeatedly, putting the Yellow Jersey and their team under pressure. Last year, Andzs Flakis (Holowesko/Citadel) also jumped from eighth to win the title on the final day. 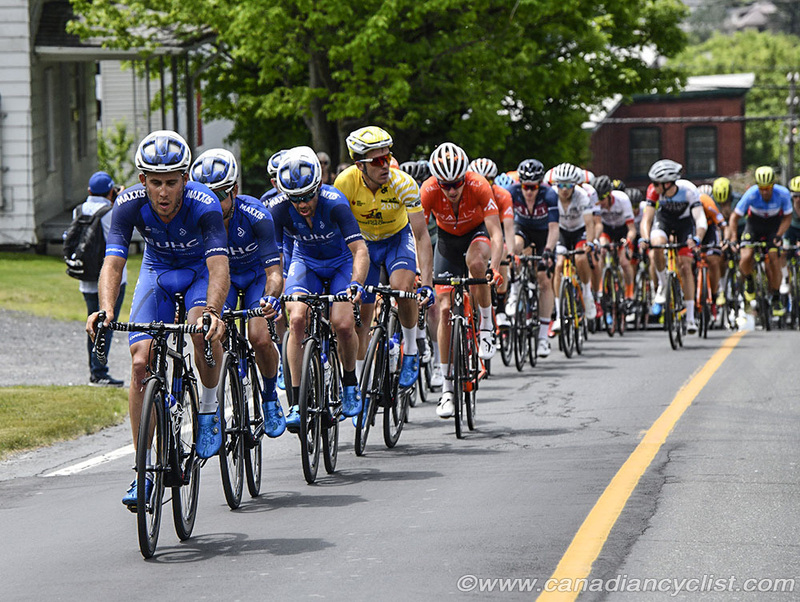 Team Canada had shown in the Quebec City fourth stage race that they had the power, with three riders in the winning break. A group of nine riders broke clear on the first lap - Piccoli and team mate Jordan Cheyne, Matteo Dal Cin (Rally), Bruno Langlois (Equipe du Quebec), Côté, Joseph Lewis (Holowesko/Citadel), Jonathan Brown (Hagens Berman Axeon), Daniel Whitehouse (Interpro Stradalli) and Timothy Rugg (Ride with Rendall). The group had two danger riders - Piccoli at 1:10 back and Whitehouse at 1:34. Initially, all the riders in the break were working to open a gap and it widened quickly, as UnitedHealthcare appeared to struggle with the pace on the climb. By the second lap the gap was over a minute and small chase groups were attempting to bridge; none successfully. 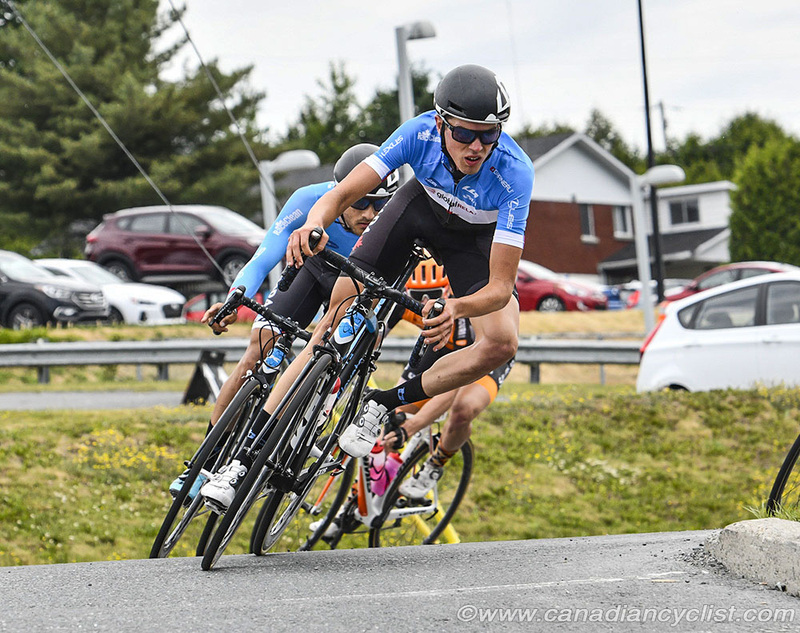 Tvetcov's team limited the damage and looked to be pulling it back on the third lap with the time split dropping to 40 seconds, but the Team Canada riders - Piccoli and Cheyne - were pushing the pace at the front, and the peloton fractured under the pressure, and began to fall back. By the midway point of the race, the gap was approaching two minutes and Piccoli was the virtual leader. The lead briefly surged to 2:20 with 35 kilometres to go, before stabilizing at 1:50. Piccoli also had to worry about Whitehouse, who had been picking up bonus seconds in the Sprints, and attacked with three laps to go, just as Piccoli lost Cheyne to a crash in a corner. 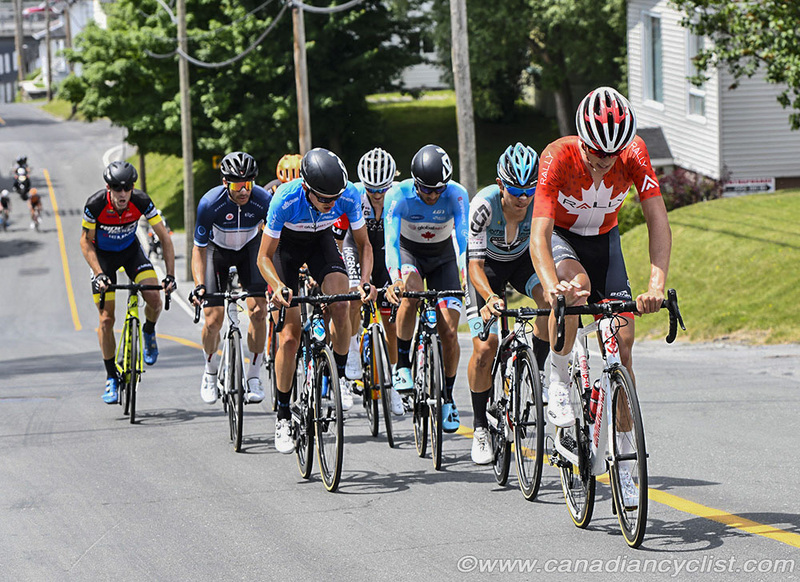 The Team Canada rider was receiving some help from Langlois as they chased Whitehouse, and Cheyne managed to bridge back up to the lead group for the final lap and a half. Behind, the chase was down to 14 riders, with Tvetcov only having one team mate left for support. Silber put a man on the front to help with the chase, and the gap started dropping, putting Piccoli's win in jeopardy. Langlois then attacked on the final climb, with three kilometres to the finish, but Piccoli and Cheyne dragged the rest of the group back, and Côté attacked to take the stage win, with Whitehouse second, Langlois third and Piccoli fourth. Tvetcov's group came in 1:36 down, and he dropped to third overall, with Whitehouse 11 seconds behind Piccoli and Tvetcov 27 seconds back. "It hasn't totally sunk in, to be honest," said Piccoli. "The team's plan in the final two stages was to make it hard, attack and blow the race to pieces. And everyone did an amazing job of doing that. Jordan [Cheyne] rode out of his mind for me, and all the guys were laying it on the line for me. It was up to us to ride in the break, and we did it." "After winning Stage 1, the rest of the Tour was a bonus," said Côté. "In the breakaway I could let the national team ride and I could sit in all day because we had Adam [Roberge] sitting second overall. I had to gamble when Bruno attacked, but I followed James [Piccoli] back up and I just had to sprint for the win. So, I had the perfect day." Tvetcov kept the Points Jersey, as did Ben Perry (Team Canada) keep the Climber's Jersey, but Adam Roberge (Silber) lost the Best Young Rider jersey to Thomas Revard (Hagens Berman Axeon). Team Canada also took the Team GC award, with three riders in the top-10 - Cheyne in ninth and Tuft in tenth. "It's pretty awesome," said Kevin Field, Manager of Team Canada. "I don't think we could have hoped for anything better today. We knew that this last stage is one where you can really turn things over. So, we had a really simple game plan; we said 'our game is chaos' ... just create as much chaos as we can and stack any move with our riders. Today it just worked out; being tactical on this circuit doesn't work, you just have to go from the start and be committed."